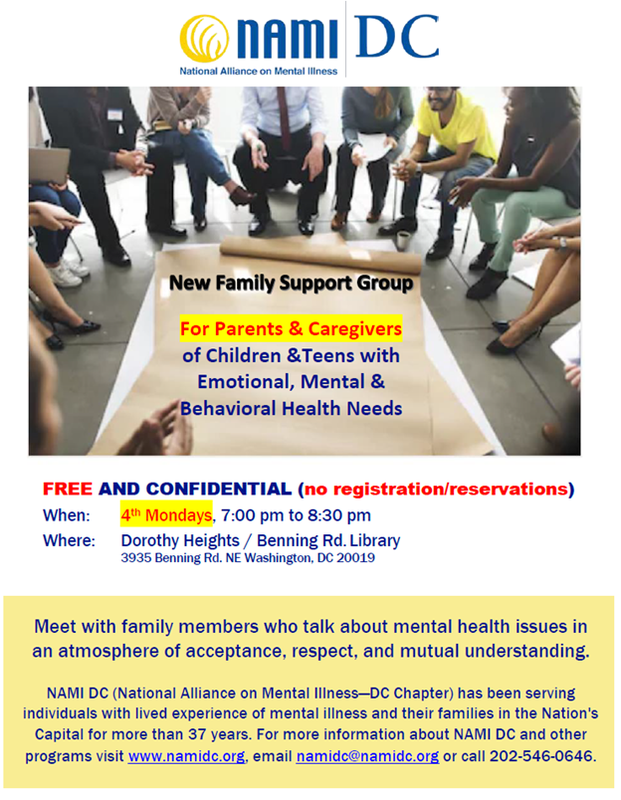 NAMI DC is the local chapter for the National Alliance on Mental Illness in the District of Columbia, providing education, support, and advocacy for individuals and their families with mental illness. Established in 1981, NAMI DC is dedicated to providing opportunities to participate in programs and activities that enhance the quality of life for individuals and families living with mental health conditions. NAMI Signature Programs and Classes are specifically designed to deliver psychosocial education to help facilitate better understanding, coping skills, and mutual support. Support NAMI DC to help millions of Americans who face mental illness every day. Where: District of Columbia – registration is required to participate.